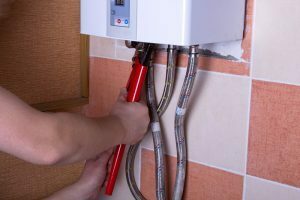 When you need to use hot water in your home, which you no doubt do countless times a day, you probably don’t really give much thought to how the water heating process works, or how that water makes its way to the point of use where it’s needed. Water heaters are a standard feature of any home with modern plumbing, after all. When it comes time to invest in a new Teaneck & Bergen County, NJ water heater installation, you will want to give a bit of thought to it. This is because you have a number of options available to you. Choosing a new water heater isn’t a decision you should rush through, as simple as it seems. If you rush, you could end up overlooking a water heater that’s a great match for your home, saving you energy and subsequently saving you money. One type of water heater we’ve seen grown in popularity in recent years is the tankless system. Most residential kitchens are equipped with a garbage disposal to easily clean up food waste. If your home is one of them, you likely can’t picture cooking and cleaning without one. Whether it’s unfinished meals or kitchen scraps, a lot goes into the garbage disposal so that you don’t have to worry about anything stinking up your trash can. However, this reliance on your garbage disposal system can get you in a little trouble. Have you had problems with your jamming up? Have you had to call for Teaneck & Bergen County, NJ garbage disposal services too often to pull something out of the mechanism? If so, or even if you just want to be a diligent homeowner, read on to learn about how you can prevent problems with your garbage disposal.